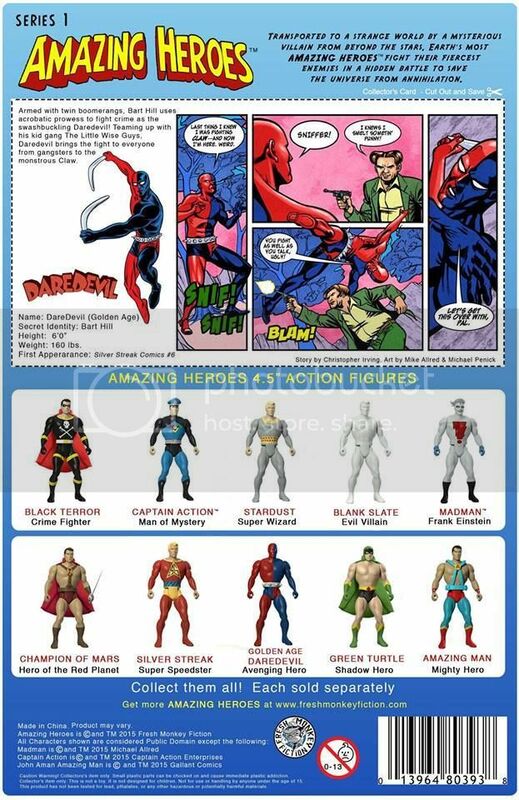 Amazing Heroes Action Figures were created to honor classic comic book heroes that haven’t received as much exposure as they deserve! In case you don’t recognize these figures, you can check out the mock up of their cardback! As you can see these figures are done in the vintage 4.5″ style, like the Kenner Batman: The Animated Series toyline! That’s pretty cool! Be sure to check out Amazing Heroes Action Figures on Facebook! Amazing Heroes Action Figures discussion! And Now an Update From Cryptid Toys! 50th Anniversary G.I. Joe at ToysRUs.com!